Total Balance Fitness’ first contest (click here for more info on rules/details) was a huge success! Lose Your Love Handles went from Feb 1-28 and 25 people signed up to participate. 14 of those contestants finished up with GREAT results – losing significant amounts of body fat, pounds, and inches. Everyone who participated made some healthy lifestyle changes including daily exercise, drinking adequate water, eating more veggies, consuming adequate protein, lowering intake of sugar/alcohol, stress relief activities, and getting more sleep. Many participated in additional bonus challenges including walking/running 15 miles in a week, doing 50 burpees every day, and completing 1000 squats and 500 pushups in one week! 2 participants each (Lauren Wanna and Margaret Hilger) reduced their body composition by 2.5%, each lost around 10 lbs, and each lost 3 inches around waist, hips, and chest. Overall, the group lost 68 pounds in a month!! 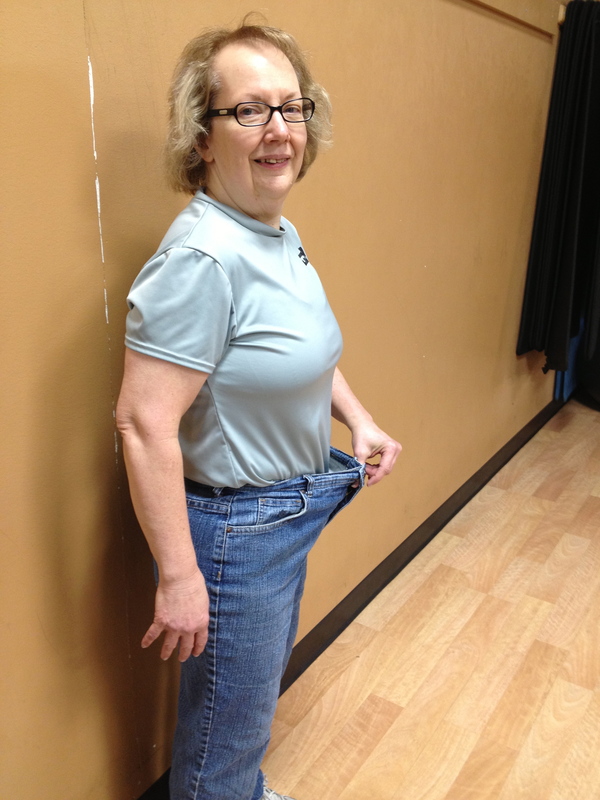 Our big winner who also lost lots of body fat, inches, and pounds, was Frances Anderson*. She really put her mind to this and made many lifestyle changes that have seriously been paying off! Here’s some of her comments regarding some of the dietary adjustments: “It was not as hard as I thought to go a month without sugar, chocolate, and alcohol. When I made the decision at the start of the month to do this, it was not so hard, because I had already decided. I did not mindlessly eat chips or other junk. I had already decided not to eat it.” Fran is using her prize money to buy new clothes, since her old clothes are too big and falling off of her! “When I went shopping for new workout pants and jeans, I was amazed to find the sizes I was trying on.” See what you can accomplish when you put your mind to it? Way to go to all Lose Your Love Handles participants! Your determination and success is inspiring!! If you missed the chance to participate in this one, we’ll have another opportunity in October 2013.